CMOs are mistakenly being judged on their ability to invest in “fashionable” new digital media channels instead of the demonstrable commercial returns that TV delivers, Channel 7’s CEO claims. Speaking on a panel at today’s ReThinkTV conference debating the ongoing value of TV advertising, Tim Worner called on marketing leaders to put the emphasis back on TV because it’s the media that “gets the tills ringing”. “Not many CMOs get a new job because they said they spend more on TV, they’re more likely to get employed because they tried something new and fashionable online,” the chief executive said. “That’s sad. They should be measuring in the same way content is measured: Does it work? Does it get tills ringing? Does it get foot traffic in the stores? In a direct swipe at social media giant, Facebook, and its ongoing reporting errors, Worner said he “felt sorry” for CMOs trying to wade through the convoluted array of metrics offered in the market today. Ten Network CEO, Paul Anderson, agreed marketers are in danger of focusing on new and less proven media but also said the TV industry needed to do more to demonstrate its ongoing value. Nine Entertainment Co CEO, Hugh Marks, also urged advertisers to demand transparency of their media suppliers. Worner said it was time TV channel owners hit back at the “numberwanging” being used against the media channel. One of the ways the industry is endeavouring to do this is through the ThinkTV research body, which is in the midst of a $1 million study in Australia into TV advertising effectiveness.According to its first tranche of findings for the FMCG sector released this week, broadcast TV is the only media to generate a positive return on investment, with every $1 spent generating value of $1.74. 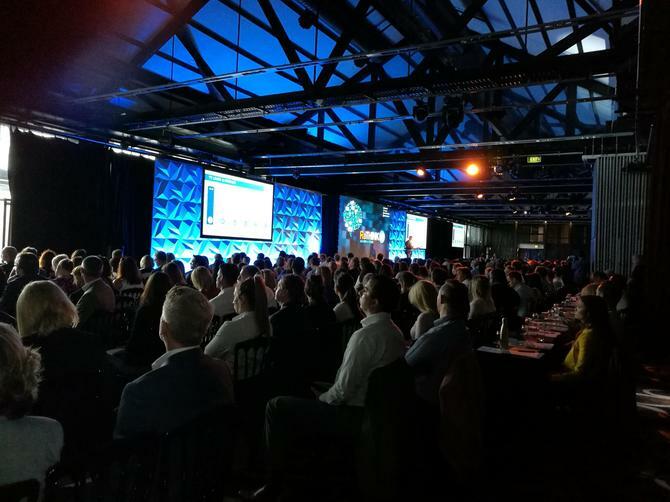 Foxtel CEO, Peter Tonagh, was also keen to see marketers gain better access to the right data to make the right decisions. Panellists also debated the growing trend of more targeted advertising, another perceived strength of digital channels. In response, Marks defended the importance of mass media reach in delivering effectiveness.